Welcome to the BTE Racing Car of the Week series, where we feature our customers and fans, and the cars (and trucks) they love to race. 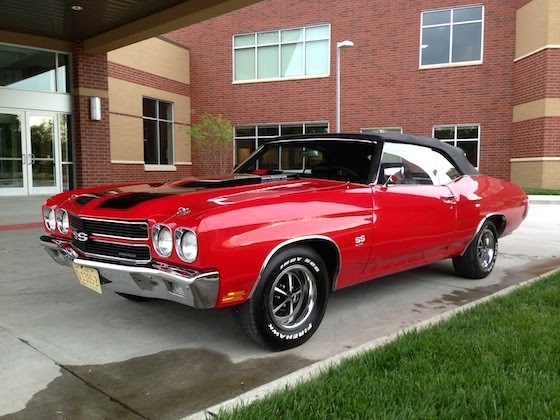 Today, it’s all about Dana Duckett from Grimes, IA and his 1970 Chevelle SS 454. My best friend had a drag car back in the late 80s, and I started going to the track with him every weekend. First we raced a 331 cid small block powered ’74 Vega at the Bethany, MO track and were the track champions in our class for several years. We then began running a ’67 big block powered Camaro and moved to the Princeton, MO track after Bethany closed. 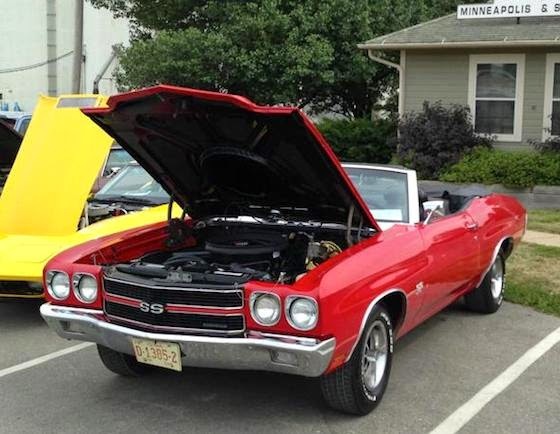 I’ve always been interested in cars, and always had a hot street car dating back to my high school days when I had a ’71 Chevelle running a small block (355 cid) with a tunnel ram. My current “hot rod” is a 1970 Chevelle SS 454 (LS-6) convertible clone. It is a .030 over 454 with Speed Pro 10.5:1 pistons, factory LS-6 steel crank, Lunati 60204 Voodoo cam, lifters, and springs and many of the original LS-6 parts including 291 rectangle-port closed-chamber heads, 569 Winters aluminum intake, and an original 4492 Holley 780 carb. It is backed by a Turbo 400 that Steve Oldani built for me using BTE internal parts and a BTE 11” Street/Strip stall converter running through a Richmond Gear 4.10 posi. I use BTE products because my transmission builder, Steve “the Trans Man” Oldani, had nothing but great things to say about your products and that your service was second to none. I had known Steve for several years before he did any work for me. Steve was rebuilding my convertible’s transmission and recommended several upgrades along with one of your street/strip converters to go along with the new engine I was building. When I ran into some problems with my converter several months later, BTE immediately shipped me a replacement. The BTE tech staff followed-up and were extremely helpful. In this day and age, this level of personal service is unheard of and BTE’s willingness to stand behind their product and make sure I was completely satisfied was very refreshing. I’m sold on BTE products and recommend them to everyone I know! Your products speak for themselves and I'm a BTE customer for life. I’ve always looked up to the door slammers in pro stock, including drivers like Warren Johnson and a guy with more local ties, Bob Morton who used to drive the Cooper & Kriegh Pizza Hut pro stock Camaro. An original 1969 DZ302 Camaro.